San Francisco | McServed: Getting Served McDonalds Fast Food Funnies, Laughs and More! 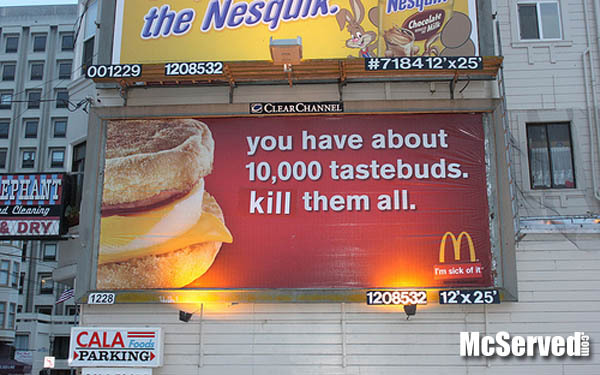 The Billboard Liberation Front and McDonald’s has apparently launched a new advertising improvement campaign. Located in San Francisco on Hyde and California St.
Billboards, Pictures tags: california, san francisco, taste buds. People, Pictures tags: san francisco, trannies, tranvestite.